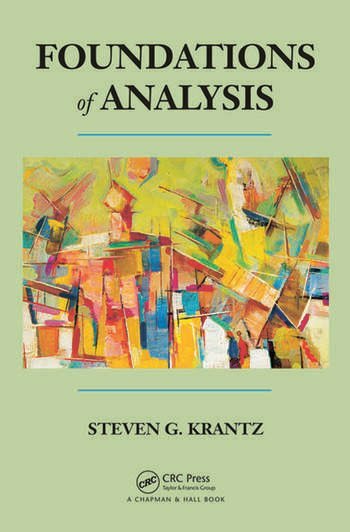 Foundations of Analysis covers the basics of real analysis for a one- or two-semester course. In a straightforward and concise way, it helps students understand the key ideas and apply the theorems. The book’s accessible approach will appeal to a wide range of students and instructors. Each section begins with a boxed introduction that familiarizes students with the upcoming topics and sets the stage for the work to be done. Each section ends with several questions that ask students to review what they have just learned. The text is also scattered with notes pointing out places where different pieces of terminology seem to conflict with each other or where different ideas appear not to fit together properly. In addition, many remarks throughout help put the material in perspective. As with any real analysis text, exercises are powerful and effective learning tools. This book is no exception. Each chapter generally contains at least 50 exercises that build in difficulty, with an exercise set at the end of every section. This allows students to more easily link the exercises to the material in the section. Steven G. Krantz is a professor of mathematics at Washington University in St. Louis. He has previously taught at UCLA, Princeton University, and Pennsylvania State University. He has written more than 75 books and more than 195 scholarly papers and is the founding editor of the Journal of Geometric Analysis and Complex Analysis and its Synergies. An AMS Fellow, Dr. Krantz has been a recipient of the Chauvenet Prize, Beckenbach Book Award, and Kemper Prize. He received a Ph.D. from Princeton University. "… there is a good set of exercises in each section … . If real analysis is to be dealt with in a one-semester course, this book appears to provide a reasonable text for the course."